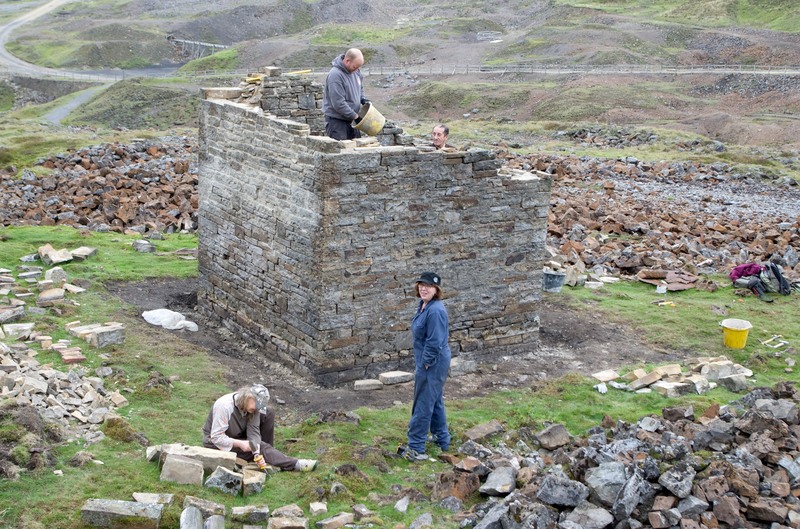 On Sunday 28th September, work continued on the Explosives Store rebuild. Work will continue on Sunday 5th October. Can you be there? This is the site on the afternoon of the 28th. Click on the image for a large view. 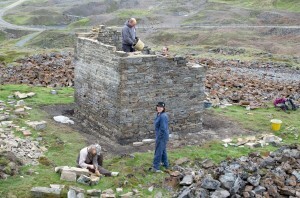 Martin Langley is emptying the mortar bucket, with Ian Eeles peering over the wall. Helen Wilkinson is dressing the stones and Joyce Jackson is watching the camera. Compare the wall heights with our earlier postings.